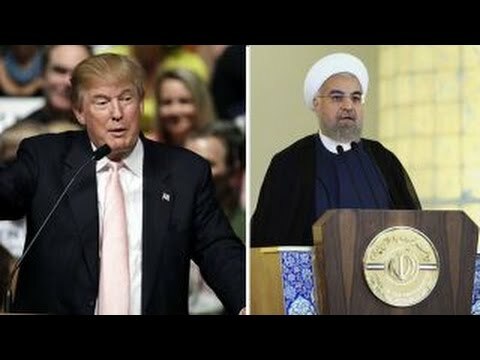 Multiple U.S officials tracking the situation—which comes amid waves of uncertainty in the American foreign policy establishment, as Trump pushes forward with a regional withdrawal that would leave Russia and Iran as top powerbrokers—expressed fears that Iran is plotting with its Palestinian terror proxies to launch new waves of attack on the Jewish state. Iranian-backed Hezbollah militants have been amassing arms on Israel’s northern border, where Iran maintains a significant presence in Lebanon and Syria, and Palestinian militants backed by Tehran have been launching near-daily attacks on Israel’s border with the Hamas-controlled Gaza Strip. The meetings between Iranian Foreign Minister Javad Zarif, the primary broker of the landmark nuclear deal, and PIJ leaders signals that “nothing good” could be brewing in the region, according to one senior U.S. official intimately familiar with recent developments. The meetings between Iran and the Palestinian terror leaders violate multiple U.S. sanctions statutes, which Congress could use to penalize Iran, even further tightening the screws on its ailing economy. One such option, which is said to be gaining traction in Congress, is a new bill spearheaded by Sen. Ted Cruz (R., Texas) that would directly address Iran’s money laundering and financing of terrorism, such as for Hezbollah and the PIJ. Senior congressional sources tracking the matter said that Democrats in Congress, as well as Trump’s own isolationist allies, are going to have to make tough choices going forward: Will they pursue a full withdrawal from the region while granting Iran free-run of countries such as Yemen and Syria? It remains unclear just how far the Trump administration is willing to go. The Treasury Department does not typically comment on potential sanctions and insiders are uncertain in which direction officials will go. Iran has a history of hosting Palestinian Islamic Jihad leaders. The two sides met several times during the Obama administration, which declined to take action on this sanctioned behavior.